“Warmer”, the companion LP is to be released six months after Jeff Tweedy acclaimed 2018 solo album “Warm”, will be released exclusively on vinyl for Record Store Day 2019. There are ten previously unavailable studio recordings written and recorded during the same sessions. The “sister albums”….“Warmer came right behind Warm – recorded in the same burst, motivated by the same impetus, overflowing with the same consoling ethos”. Ahead of the album’s April 13th arrival, Tweedy has shared the Warmer track “Family Ghost,” a “reflection on the difficulty of understanding and eliminating the types of casual and systemic racism pervasive in Jeff’s southern Illinois upbringing,” a press release for the album stated. The 10-song collection was recorded during the same studio sessions at Chicago’s the Loft Studio that resulted in Tweedy’s 2018 album. Warmer was “recorded in the same burst, motivated by the same impetus, overflowing with the same consoling ethos,” author George Saunders, who penned Warm‘s liner notes, said of the “sister album. Summerteeth, released 20 years ago this week, is Wilco’s contribution to a common trope in pop music history: The prettiest songs are often about the ugliest subjects. Summerteeth exists as part of that lineage. It’s the most gorgeously ornate album Wilco ever made, and also the most disturbing. Tweedy wrote the songs that became Summerteeth at what should have been the happiest time in his life. Rather than sabotaging his music career, the breakup of Uncle Tupelo — his massively influential country-punk partnership with childhood friend Jay Farrar had liberated him to pursue a vision entirely his own. He’d married his longtime girlfriend, Sue Miller, the owner of Chicago music venue Lounge Ax, and together they were raising a young son. The 1996 double-LP Being There had established Wilco as arguably the most talented and ambitious band in alt-country and helped Tweedy escape his reputation as Farrar’s plucky sidekick. “I dreamed about killing you again last night, and it felt alright to me.” That’s a hell of a way to begin a song, and a hellish way. Just when the sleepy acoustic guitar chords out front of “Via Chicago” have lulled you into a stupor, Jeff Tweedy arrives to announce his shrugging approval toward the prospect of murdering someone he loves. To upend those expectations, Wilco made their idea of a bubblegum record. The rootsy pop-rockers and ballads that populated 1994 debut A.M. were still in the mix, as were the formal and stylistic experiments that made Being There such a leap in terms of breadth and quality. But now Tweedy and his sideman Jay Bennett were building these songs into small-scale symphonies: Beach Boys harmonies spilling into every chorus, waves of gorgeous orchestration surging in and out of the frame. By this point they were more chamber-pop than cowpunk or whatever term the readership of No Depression favored that week. On one hand, there’s nothing quite like “A Shot In The Arm” in Wilco’s discography. On the other hand, it’s a great case study for what Wilco were doing on Summerteeth: one of the most beautiful and exhilarating pop songs they’ve ever recorded, and also one of the bleakest. Bennett’s cascading piano ripples, a rock-steady Coomer backbeat, and a Stirratt bass line propel it breathlessly forward while an arsenal of squealing synths collide in the sky like fireworks. All the while, Tweedy alludes to strained relations with his wife and seemingly considers whether a heroin habit might jolt him out of his doldrums. It begins and ends in flicker of synthesizers. Not everything on the album is so dark. Summerteeth concludes with a stretch of music that feels like a redemption arc. There’s real tenderness in the lullaby “My Darling” and the lazy back porch reverie “When You Wake Up Feeling Old.” The title track finds some kind of resolution as it breezes from snappy twang to sighing rhapsody, though even the apparent reconciliation is oblique enough to keep listeners guessing. And on gentle closing track “In A Future Age,” Tweedy buys into the possibility of change, bookending his album-opening cries that “Your prayers will never be answered again!” with a call to “turn our prayers to outrageous dares.” Yet despite things generally looking up at the end, the album remains a document of Tweedy at one of his lowest moments. In other words, when “She’s A Jar” reaches its twist ending and Tweedy declares, “She begs me not to hit her,” he’s not actually confessing to domestic violence. He’s singing about a fictionalized version of himself, or maybe as a different character entirely, as a way to air out the more disquieting corners of his psyche. Which is not to say it’s wrong to be repulsed by these images or to wish that Tweedy, as the album’s ostensible protagonist, had not verbalized them. Summerteeth occupies a weird space in Wilco’s history. It stands alone among their output, a product of personal crises and creative friction that would have ended the band if they’d carried on forever. There are people who’ll (wrongly, but earnestly) tell you that actually, this is the best album Wilco ever made. Others see it as the beginning of the end of the band they once loved, a rough draft for future glories. 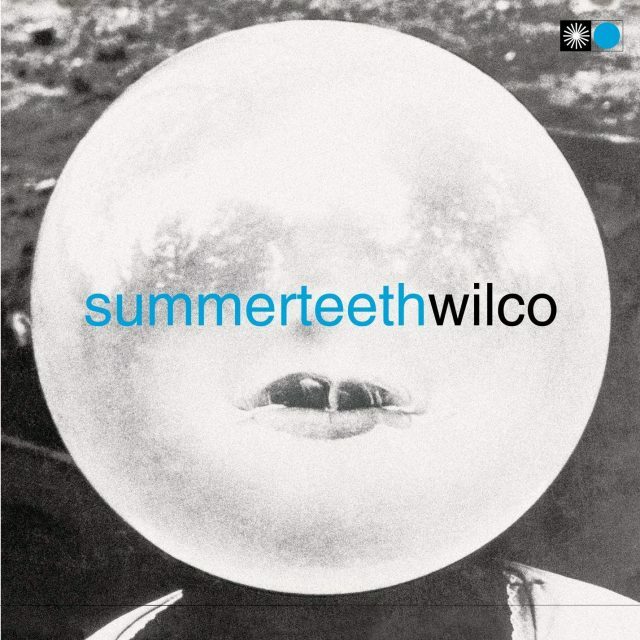 Whatever you make of Summerteeth, I can attest from experience that the album helped Wilco to become for a generation of listeners what the Clash and the Minutemen had been for Tweedy. Wilco may have set a high water mark for experimental Americana with 2002’s Yankee Hotel Foxtrot and 2004’s A Ghost is Born, but frontman Jeff Tweedy has spent the intervening years slowly inching away from the abstract and obtuse elements of those LPs, in favor of more direct and explicit songwriting. Warm, his first proper album under his own name, marks the exceptional culmination of that approach. Written in the wake of his father’s passing, and as Tweedy enters his 50s, these deeply intimate and skeletal songs consider what it means to remain in the present, what it means to be a link in a family chain, and what it means to appreciate the joys of life even as darkness threatens to swallow us whole. Jeff Tweedy has shared “Some Birds,” the first single off his forthcoming solo album Warm, due out November. 30th through dBpm Records. The record, recorded at Tweedy’s legendary Chicago studio The Loft, will be his first proper album of entirely new solo work, and will feature liner notes by the acclaimed author George Saunders. “Some Birds” finds Tweedy up to his old Uncle Tupelo tricks once again. The rusted alt-country of No Depression has, throughout the years, alternately been Tweedy’s boon and bane some of Wilco’s best work occurred when he was running as far away from roots rock as he could. But when he’s on his own, that naturalistic style of songwriting feels, well, natural. Like Wilco’s collaboration with Billy Bragg, or Tweedy’s own cover of Dylan’s “Simple Twist of Fate” off the I’m Not There soundtrack, “Some Birds” just feels right. His reedy voice seems to be made for lap-steel slides and clomping acoustic vamps. That’s not to say he’s gone all “beer, trucks and broken hearts,” though—he’s still got his deadpan wit and an eye for good imagery. “Some birds just sit / useless, like a fist,” he sings to start. “I lean on the wall / like a broom, confused / by the scope it all,” he adds later, his metaphors always dangling for a few moments, leaving you wondering just how a fist is useless, or how a broom can be confused. It’s comfortable but funny, lived-in but not tired. 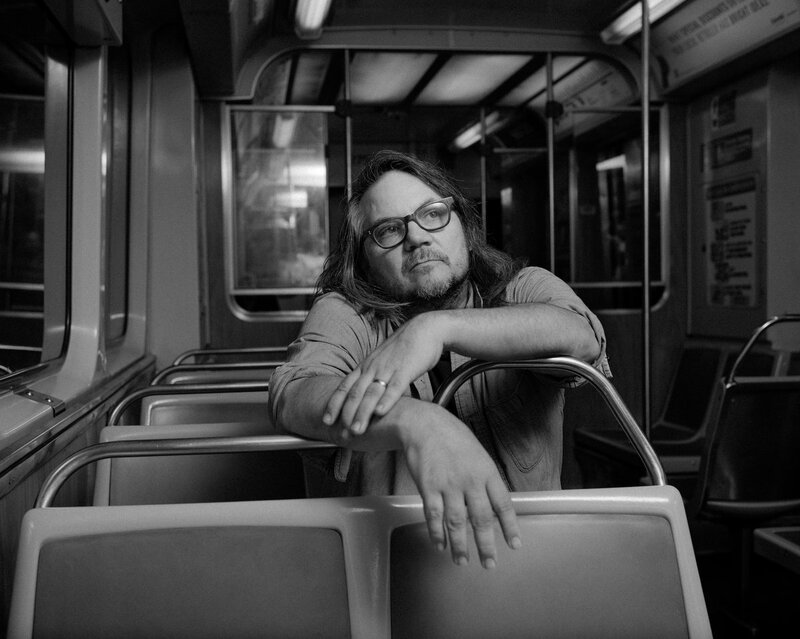 Official video for “Some Birds,” the lead single off Jeff Tweedy’s solo album Warm. Wilco frontman Jeff Tweedy has announced he will release a memoir, titled Let’s Go (So We Can Get Back), on November 13th via Penguin/Random House. Let’s Go (So We Can Get Back) is now available here (UK). Wilco’s debut album, A.M., was released 20 years ago . A.M. is the debut album of Chicago based alt-country rock band Wilco, released on March 28th, 1995. The album was released only months after the breakup of Uncle Tupelo, another alt-country band that was the predecessor of Wilco. Prior to the release of the album, there was debate about whether the album would be better than the debut album of Son Volt, the new band of former Uncle Tupelo lead singer Jay Farrar. Only days after the breakup, Tweedy had decided to form a new group. He was able to retain the lineup of Uncle Tupelo sans Farrar, and rechristened the new band as Wilco. In mid-May, the band began to rehearse songs in the office of band manager Tony Margherita, and hired producer Brian Paulson, who produced Anodyne. Wilco first recorded demo tracks for the album at Easley studio in Memphis, Tennessee in June. Stirratt recommended the studio based on previous experience as a member of The Hilltops, and Jeff Tweedy had heard of the studio through a Jon Spencer Blues Explosion recording. 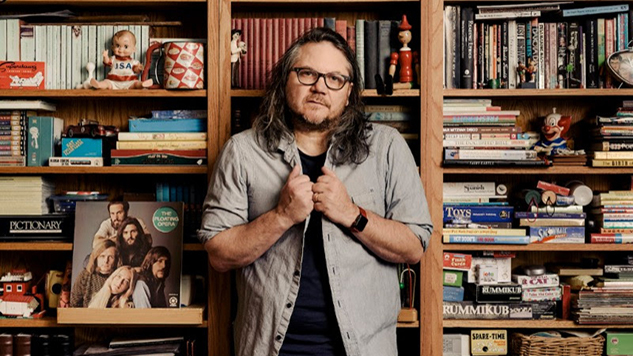 Reprise Records, a subsidiary of Warner Brothers, signed Jeff Tweedy after hearing the tapes, and recording for the album continued through August. Although A.M. was released before Son Volt’s Trace, critical reviews were modest and initial sales were low. The album was later regarded as a “failure” by band members, as Trace became a greater commercial success. It was the band’s last album to be recorded in a purely alternative country style, as following the record the band began to expand their sound across multiple genres. It is also the only Wilco album to feature Brian Henneman of The Bottle Rockets as a lead guitarist. Recorded June–Autumn in 1994 . Brian Henneman had to leave the band shortly after recording the album, and was replaced by former Titanic Love Affair guitarist Jay Bennett. Jeff Tweedy also attempted to create a more collaborative environment than Uncle Tupelo, requesting songwriting contributions from other members. John Stirratt submitted three songs, hoping to become a secondary songwriter for Wilco. However, although the songs were recorded as demos, only one (“It’s Just That Simple”) was selected to appear on the album, and was the only Stirratt song to appear on any Wilco album. 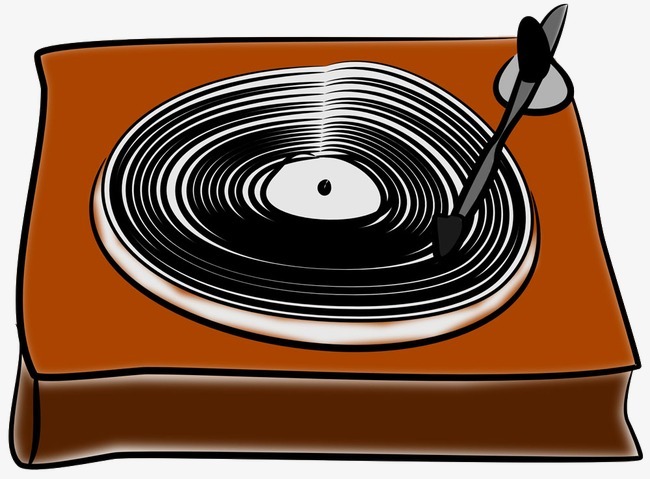 The album’s title is intended to reference Top 40 radio stations, and the tracks reflect a straightforward country-rock sound. The band members felt that they needed to establish themselves outside of the Tupelo fanbase. However, Tweedy later stated that in actuality, they were “trying to tread some water with a perceived audience.” Tweedy wrote a song about the Uncle Tupelo breakup, but decided that he didn’t want any material on that subject matter to appear on the album (It can be argued, however, that first single “Box Full of Letters”, as well as “Too Far Apart” allude to the dissolution of Farrar and Tweedy’s friendship and working relationship.) Tweedy attributes some of the straightforwardness of the album to his use of marijuana at the time. Shortly after the album, Tweedy stopped smoking pot, to which he credits the introspectiveness of further albums. Wilco began touring before the album was released. Their live debut was on November 27th , 1994 at Cicero’s Basement Bar in St. Louis, a venue where Uncle Tupelo had first received significant media attention. The band was billed for that concert as Black Shampoo, a reference to a 1970s B-movie, and the show sold out. Wilco continued to tour for two hundred shows, culminating in show at the South by Southwest Music Conference in Austin, Texas in March 1995. A.M. was released on Reprise Records on March 28th, 1995. Has Wilco ever sequenced as perfect a coupling as “Art of Almost,” the band’s theme song, and the driving organ-pop number “I Might”? Those are 11 minutes to get lost in the music. The album ends with the 12-minute anti-epic “One Sunday Morning,” containing some of Jeff Tweedy’s best lyrics. You have to find your own meaning, but “One Sunday” seems inspired by a troubled father-son relationship, with Tweedy’s somber delivery over lovely piano accompaniment eventually leading to an understated jam that follows the tone of the proceedings. The album’s a little soft in the middle, but it includes a song that predicted Diamond Rugs (“Standing O”) and one (“Black Moon”) that cuts through Townes Van Zandt’s backyard on the way to the symphony.